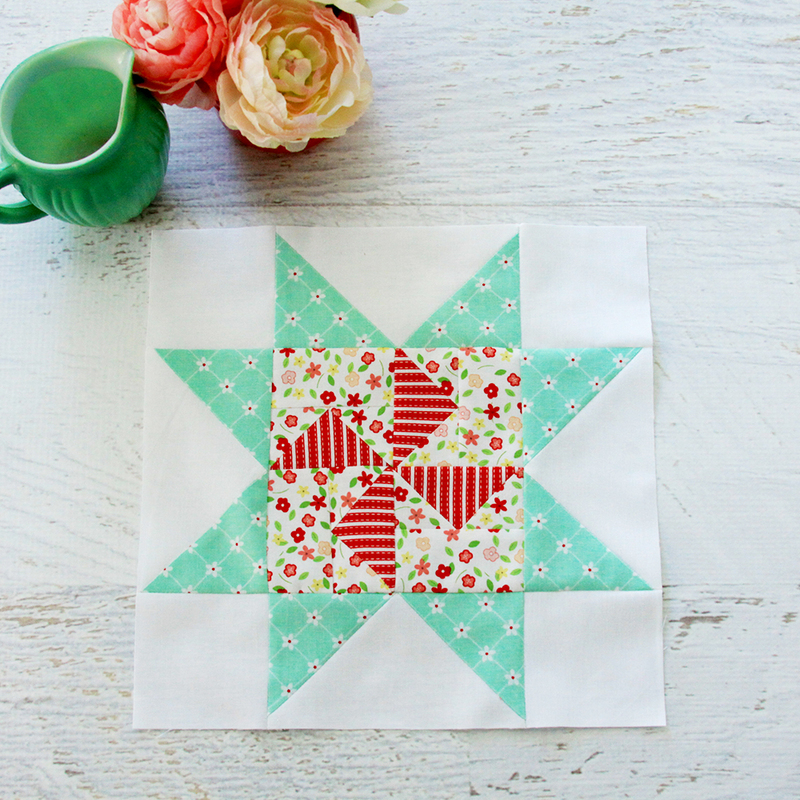 I am having so much fun sharing these Riley Blake Meet the Maker Quilt blocks with you! 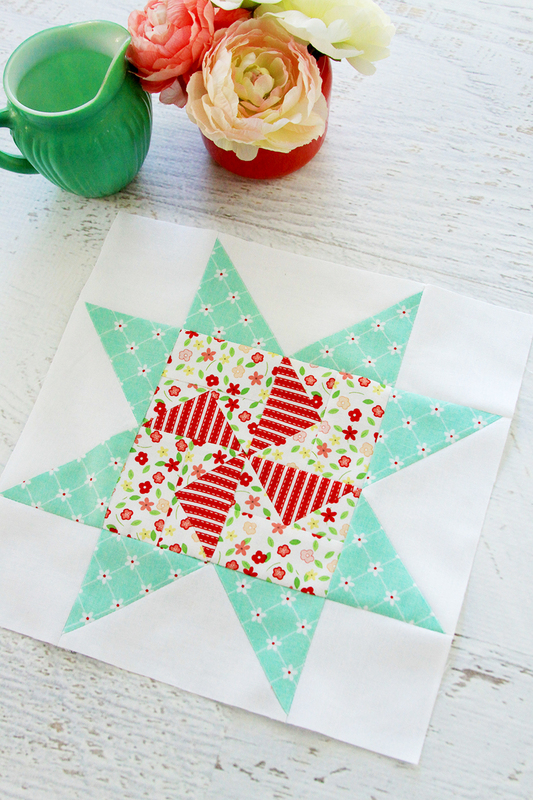 It’s pretty amazing how different a quilt block can look in different fabrics. Have you been following along with the quilt on Instagram? There are so many pretty versions! This block was really fun to do. It’s a pinwheel in the center and then framed with flying geese. I wanted to use some of the supporting fabrics from Vintage Adventure for this one – I think this block really shows them off! 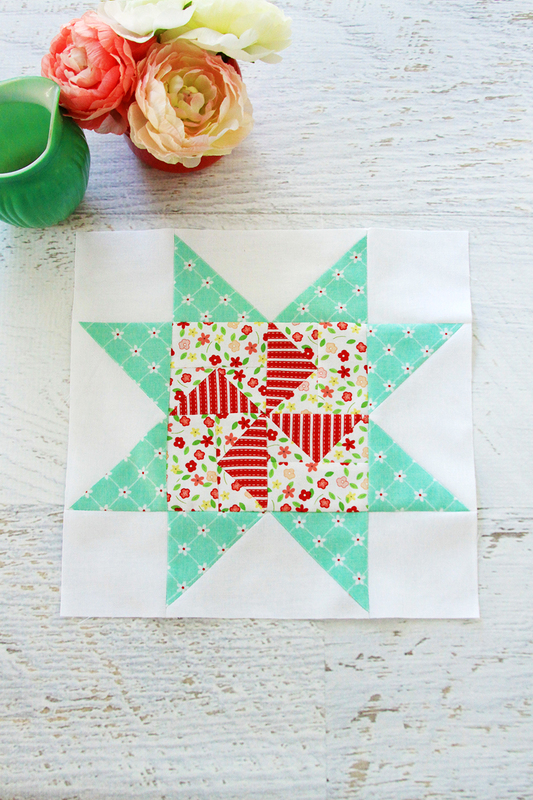 I used the Red Stripe for the pinwheels and the white tiny floral for the center square. The flying geese around the center square are the aqua trellis fabric and the white is Riley Blake White. 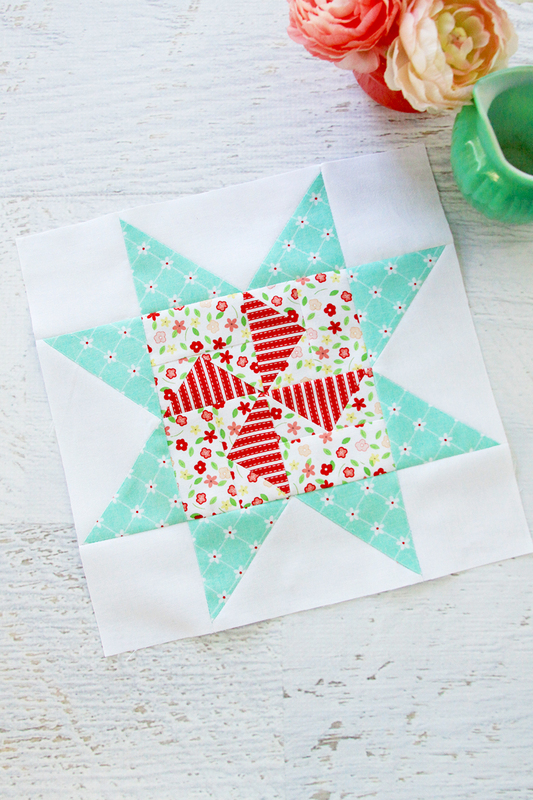 You can find the instructions for block for on the Riley Blake Designs Blog! There is a video for each block too! You can follow along with the quilt along on the Riley Blake Instagram account and see all the other blocks at #meetthemakersquilt #meetthemakers & #rbdmaker. I love the fabrics and pinwheels just make me happy! Thanks for sharing with SYC.